Brad has over 10 years of experience at Morgan Stanley. He began his career in 2008 within the Private Equity Investor Relations group. From 2014 through the beginning of 2017, Brad was the Eastern Divisional Analyst for Morgan Stanley responsible for managing multiple business processes, including analysis of divisional investments, quarterly reporting of divisional real estate, expense management, and regional business reviews. Over the past several years, Brad has dedicated his time to analyzing the portfolio asset allocation of high net worth individuals and creating sophisticated financial planning and retirement solutions. 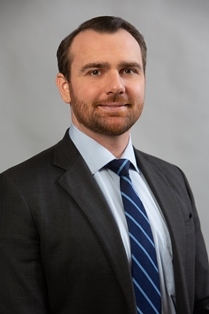 Brad holds the Chartered Financial Analyst designation, which is one of the highest distinction in the investment management community and gives a strong understanding of advanced investment analysis and real-world portfolio management skills. Also, he holds the Series 7, 66, 79, 24, 53, and 4 licenses. Brad lives in New York, NY with his wife and son.